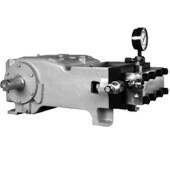 Increase productivity and reduce operating cost with a UNx® Fluid End Upgrade. Operating pressure up to 20,000 psi (1400 bar). 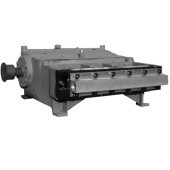 Designed to fit Butterworth or Gardner-Denver T-300 and others. Increase productivity and reduce operating cost with a UNx® Fluid End Upgrade. Operating pressure up to 40,000 psi (2750 bar). 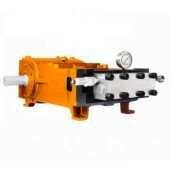 Designed to fit NLB 1012 and other pumps using the Union TD-60 power end. Increase productivity and reduce operating cost with a UNx® Fluid End Upgrade. 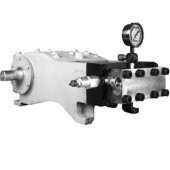 Operating pressure up to 20,000 psi (1400 bar). Designed to fit American Aero/ Weatherford FE85. Increase productivity and reduce operating cost with a UNx® Fluid End Upgrade. Operating pressure up to 20,000 psi (1400 bar). 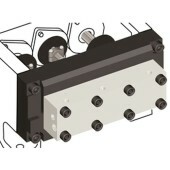 Designed to fit Tritan 3310SS, Wheatley P-313, and others. Increase productivity and reduce operating cost with a UNx® Fluid End Upgrade. Operating pressure up to 40,000 psi (2750 bar). 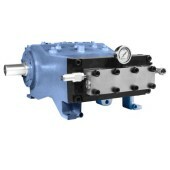 Designed to fit Tritan 5127SS and other pumps using the Wheatley HP125 power end. Increase productivity and reduce operating cost with a UNx® Fluid End Upgrade. Operating pressure up to 40,000 psi (2750 bar). Designed to fit Butterworth L-375, Gardner-Denver TF-375, and others. Increase productivity and reduce operating cost with a UNx® Fluid End Upgrade. Operating pressure up to 40,000 psi (2750 bar). Designed to fit Woma 1502. Increase productivity and reduce operating cost with a UNx® Fluid End Upgrade. Operating pressure up to 40,000 psi (2750 bar). Designed to fit Woma 150-Z. Increase productivity and reduce operating cost with a UNx® Fluid End Upgrade. 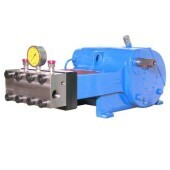 Operating pressure up to 20,000 psi (1400 bar). Designed to fit Butterworth L-77. Increase productivity and reduce operating cost with a UNx® Fluid End Upgrade. Operating pressure up to 40,000 psi (2750 bar). 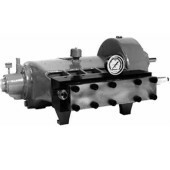 Designed to fit NLB 10150, 10200, and other pumps using the Union TD-120 power end. Increase productivity and reduce operating cost with a UNx® Fluid End Upgrade. Operating pressure up to 40,000 psi (2750 bar). 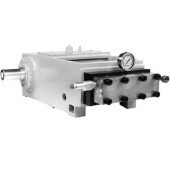 Designed to fit NLB 10250 and other pumps using the Union QD-200 power end.